As seen from Australia, the Lyrid radiant is at its highest in the hour before sunrise. From America, the Lyrid radiant is high in the east before sunrise, with Venus and the crescent Moon low to the horizon and Saturn in the southern sky. 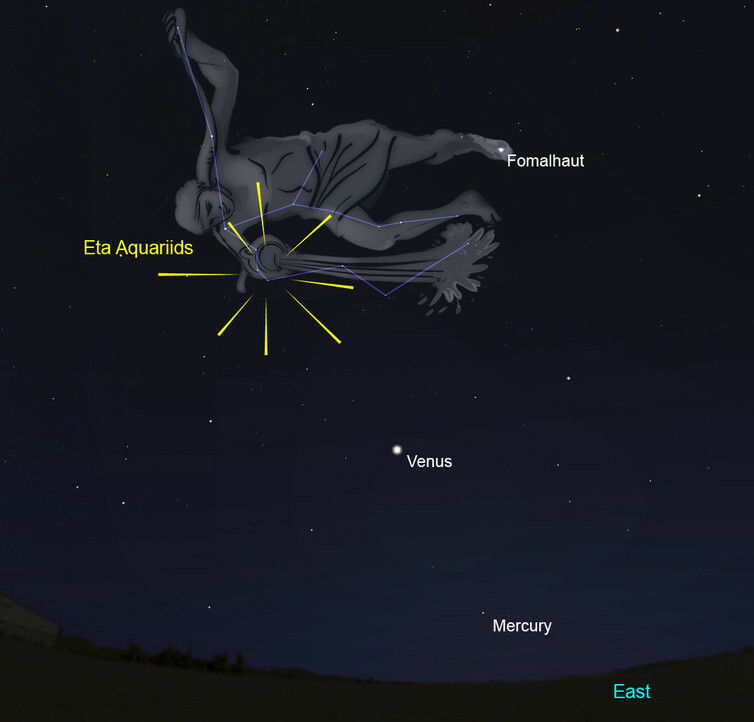 In the hour before sunrise, the Eta Aquariids radiant is high in the eastern sky, with Venus and Mercury below. 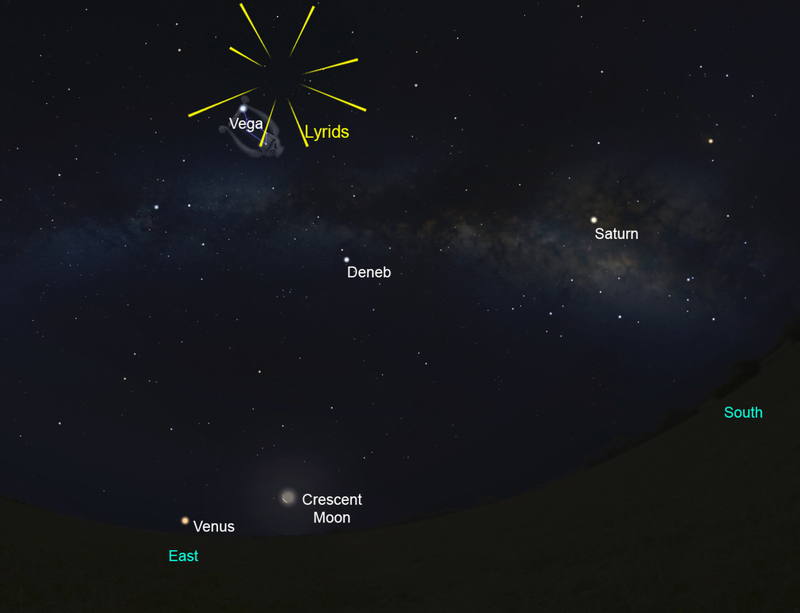 Given that the normally reliable and spectacular Perseids (mid-August) are badly affected by moonlight this year, these showers allow observers to get their mid-year meteor fix. These three showers, combined, favour observers in the southern hemisphere, though they can also be observed from northern latitudes. From both hemispheres, the rates get better as the night goes on and the radiants rise, with the best rates seen in the hours after midnight. 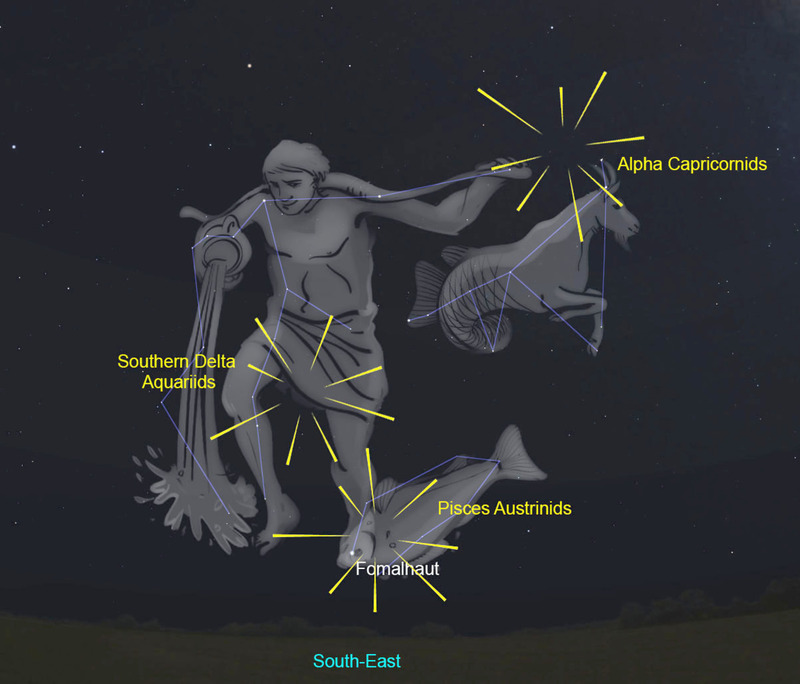 A trio of meteor showers, as seen from the Southern Hemisphere around local midnight. 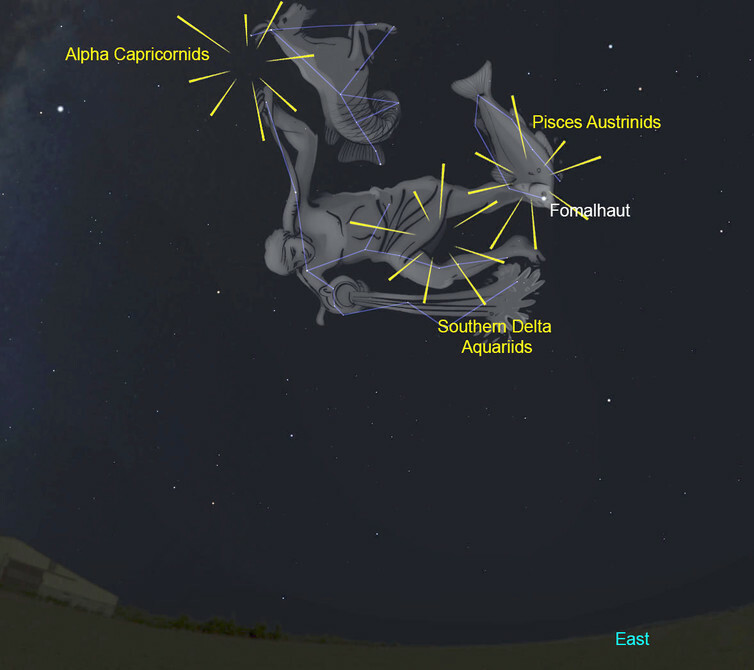 The same meteor showers, as seen from the Northern Hemisphere around local midnight. 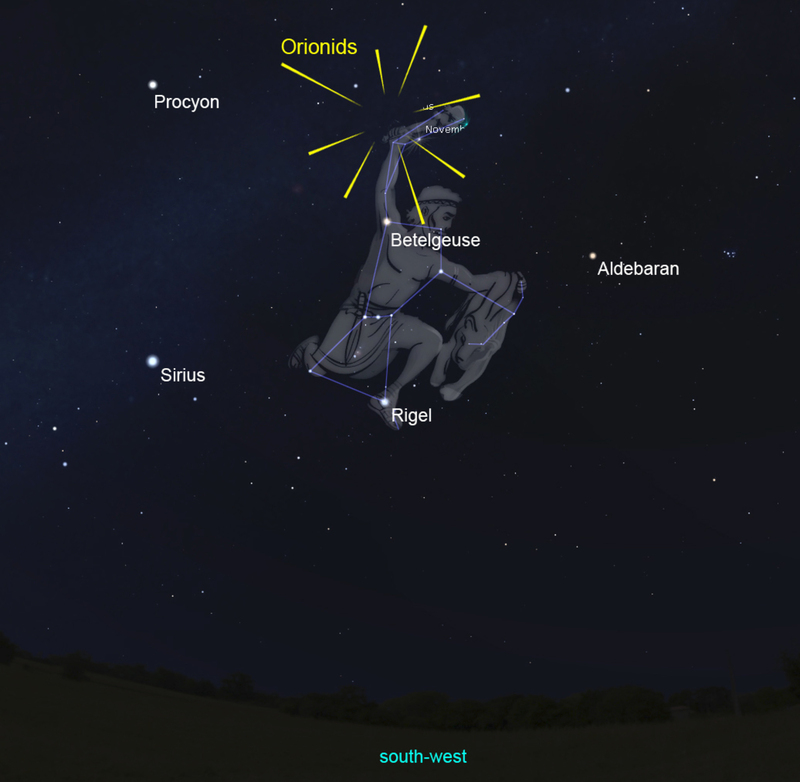 Before sunrise, Orion stands upright high in the south-west as seen from the northern hemisphere. From the southern hemisphere, Orion appears to stand on his head, in the northern sky before dawn. From locations well north of the equator, the radiant rises just after sunset and good rates can be seen from the mid-evening onwards. For the southern hemisphere, the radiant rises later (mid-to-late evening). As the radiant climbs, so too will the number of meteors that can be seen. 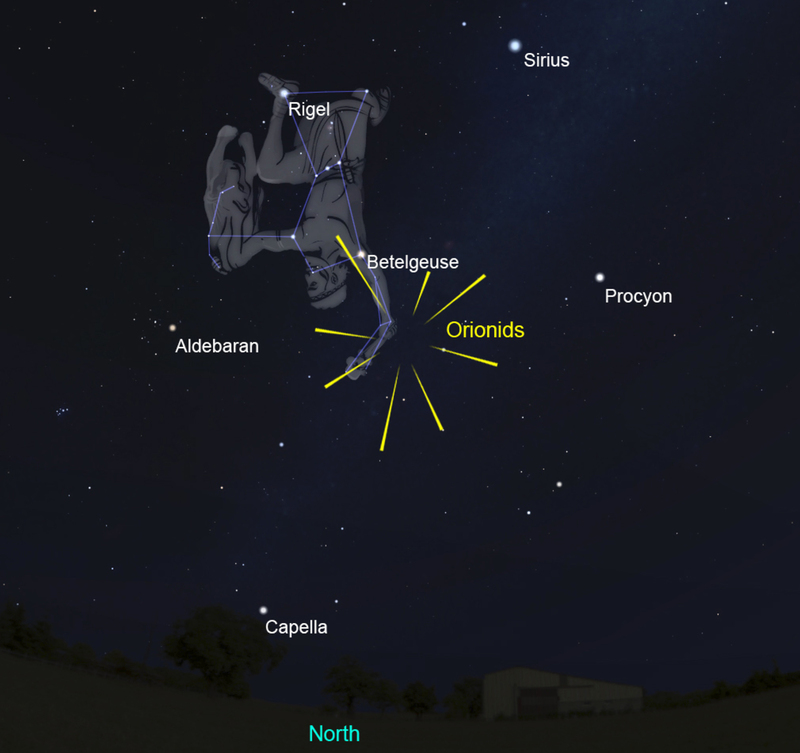 The Geminid radiant travels across the northern sky, as seen from Perth. The Ursids are the final shower of the year and are only visible for locations in the northern hemisphere. 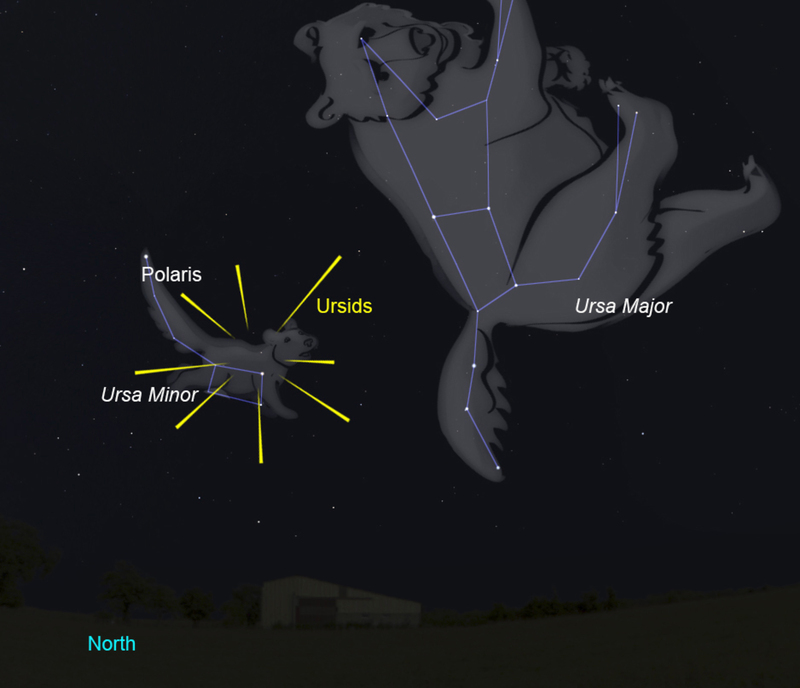 The Ursid radiant as seen from Tokyo at 11pm, December 22. There is the possibility that the Earth will encounter a denser clump of debris around 15 minutes ahead of the time of forecast maximum. 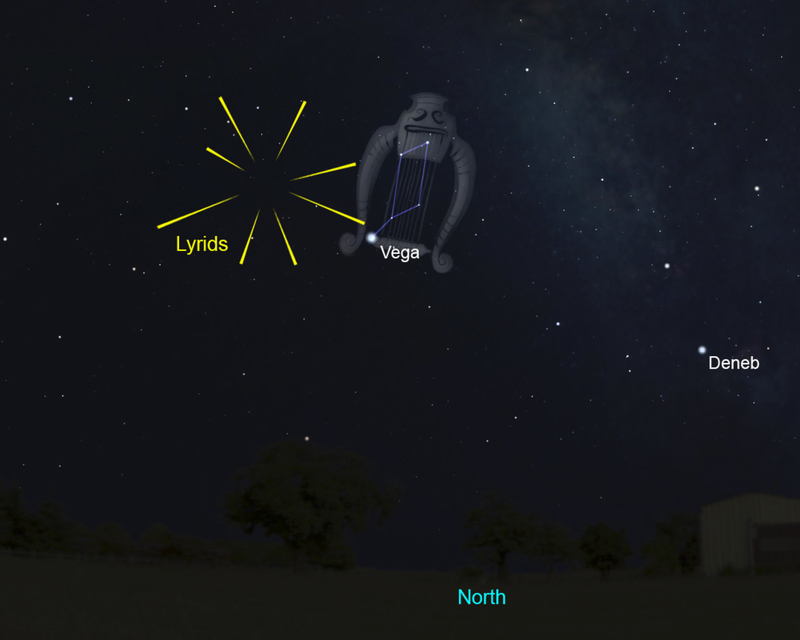 That debris, left behind by the shower’s parent comet, 8P/Tuttle, in 884AD, will likely have become quite dispersed in the 1,133 years since it was laid down. As a result, any increase to the observed rates will probably be relatively small. Could NATO go to war with Russia … and what would happen if it did?